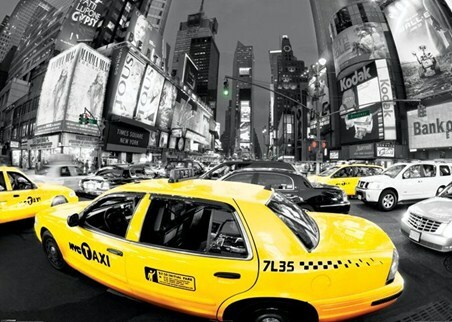 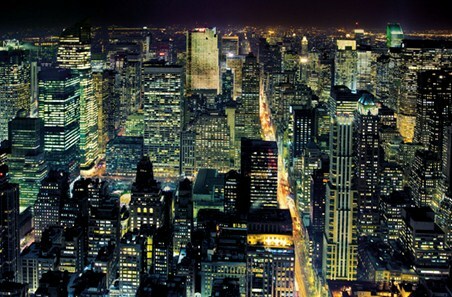 Photography Giant Poster: The buzz of New York City is captured in this electrifying colour light photography poster. 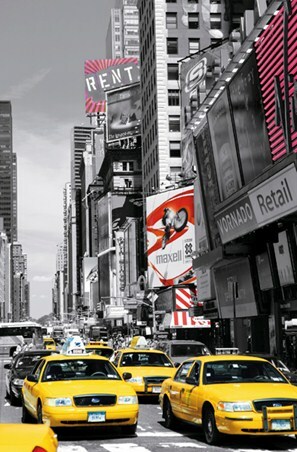 The iconic yellow cabs take centre stage in the foreground, whilst towering skyscrapers, plastered with advertisements, stand proud in the city that never sleeps. 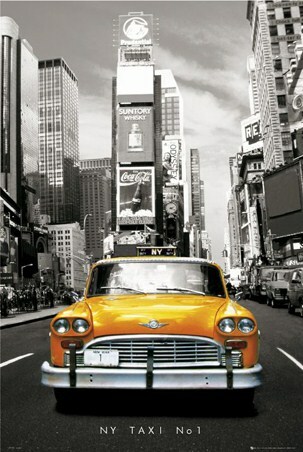 Taken using a 'fish-eye' lens, this colour light piece has a curved perspective which adds an interesting twist to this modern poster. 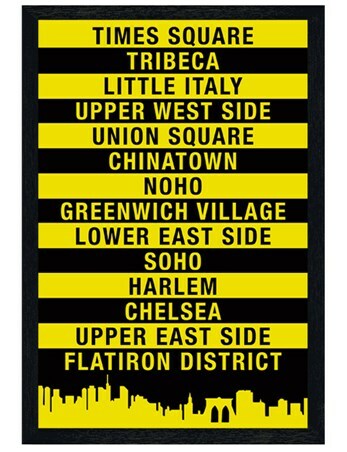 If you love the excitement of the city, then this larger than life poster will fill your home with the energy of Times Square and transport you to the 'Big Apple'.